Call your sisters, mamas and lady loves to join us Sunday, August, 26th beginning at 4pm for a delightful Afternoon Tea from La Bella Vie Tea Explore the history of iced tea concoctions at a lovely event brimming with a bounty of confections both savory and sweet. We are thrilled to host La Bella Vie Tea for this splendid affair. Take a gander at La Bella Vie's last Afternoon Tea at the shop for a birds eye view of the festivities. Tickets are $30 per person. Join us Sunday, August 5th at 11:00 am for our Victory Garden Initiative, Container Gardening Series with Allison Modafferi. Local yoga guru & green thumbing Allison Modafferi joins us for the next Container Gardening Series Sunday, August 5th. This latest installment will expand on the trendy yet, sustainably delicious Avocado Toast. Sprout to the next level of your AT production by incorporating fresh, nutritional sprouts. Make and take your own sprouts to grow at home in a genius mason jar set-up while indulging in a next level Avocado Toast bar by the Day of the Bread. All supplies included. $30 per person. In addition to brunch and bevies, each guest will make and take a jar of sprouts for an extra boost in your at home preparation. All supplies, brunch bites & bevies included. Call your sisters, mamas and lady loves to join us Sunday, June 24th for a delightful Afternoon Tea from La Bella Vie Tea. Brimming with a bounty of confections both savory and sweet accompanied by an artful tea service. We are thrilled to host La Bella Vie Tea for this splendid affair. Who is THE REAL Sherlock Holmes? Join us for PaperHouse Theater's newest immersive theatrical experience based on the familiar Holmes and Watson stories... with their own twist. You are invited to join Dr. John Watson and some of his closest friends for a party celebrating his adventures with the famous detective. The evening will include a little mystery, a little murder, a little drama, a lot of silliness, and of course DRINKS and TREATS! FROCK Shop - a groovy boutique, in one of Plaza-Midwood's most beautiful turn of the century homes. We create immersive productions adapting classic plays and literature into environmental experiences that strengthen the connection between actor and audience. We believe in the power of play and the power of questions. The show runs April 26th - May 12th. Thursday, Friday & Saturday's beginning at 8pm. 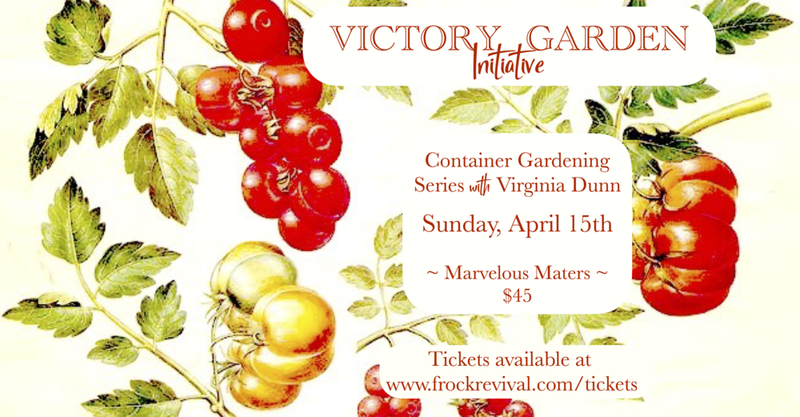 Join us Sunday, March 18th at 1pm for our Victory Garden Initiative, Container Gardening Series with Virginia Dunn. Local green thumb, Virginia Dunn begins her Container Gardening Series with a Salad Bounty. This class will focus on creating a bountiful mixed greens garden bowl with a few surprises. All supplies are included. This hands on class will includes a take home a completed 15" diameter decorative planter, and instructions for how to care for your newly planted seeds so they grow into a bounty of greens that will keep giving throughout the season. Join us as we take a tour around the world! We have the country of Bahrain 🇧🇭 on Feb 24, 2018 at the Filmore for the most festive Fashion Show in town, Condom Couture Charlotte! It gives me great pleasure to rise to the challenge and create a garment from such a provocative medium. The rousing thrill of the design and construction process as it culminates into one magical evening of giving, of supporting and of taking a stand is unparalleled. I can hardly wait. Don’t miss the flight on Feb 24 at the Filmore. ✈️ $30 general admission tickets, reserved VIP seating & individual and corporate sponsorships are on sale NOW. Join us Friday, February 16th to celebrate all things LOVE! 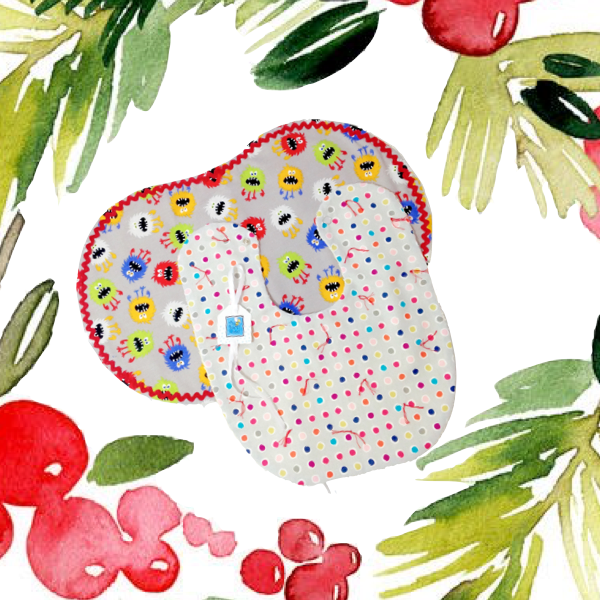 FROCK Shop is celebrating our 5 year anniversary and we want to shower our fantastic clientele with love to celebrate. Enjoy the powerful experimental jazz beats of our local favorites Ghost Trees! Nosh on tasty bites from Coaltrane's Char Grill and feast your eyes on the dramatic visual art from Wan Marsh Studio. Festivities begin at 7pm. Grab a friend and let's dance! Join us this Friday evening for a Pop-up Cocktail Party in honor of The Dwelling | Recall by Dylan Bannister, a one night exhibit hosted by our housemates, upstairs Basic Cable. Drop in on the way home, before/ after dinner or anytime 6-10pm this Friday evening for a peek at this nostalgic rewind to analog perceptions. Join us Sunday, October 15th beginning at 6pm for a radical evening built to nourish your groove. Let’s indulge in a cornucopia of vegan delights brimming with the totally righteous flavors and the imaginative craftsmanship of Charlotte's only locally sourced, vegan, organic, prepared food delivery service. Nourish! Feast while lounging through an immersive voyage brought to you from the conceptual existence of “Don Tellings Island Mysteries”. Featuring a curated quintet of stellar Charlotte musicians assembled to masterfully reinterpret and create mid-century Exotica standards. A limited quantity of tickets are on available now @ $55. Join us Friday August 11th, for a Summer Revival featuring the work local artist Hannah Coggins. Doors open at 5pm, Festivities begin at 6pm. Chef Cheryl Henry of Dasheen Cusine will be on hand sampling and selling authentic Caribbean fare. Menu to follow. Join us this Sunday August, 6th for a delicious brunch spread from Chef Cheryl Henry. $25 person includes the beautiful menu below, mimosa bar and steller company! Cheryl will also be selling take home dressings & Caribbean breads. Cash Only. Join us this Sunday July, 2nd for a delicious brunch spread from Chef Cheryl Henry. $20 person includes the beautiful menu below, mimosa bar and steller company! Space is limited, Details below. Frock Shop & Powder Studio are excited to present this months $1 Movie Nite! Join us in our effort to shine a spotlight on local businesses and non-profit organizations by hosting donation driven movie nights complete with themes, concessions and entertainment. All proceeds will be donated to a chosen cause that works in our community. Please spread the word and RSVP so our vendors can prepare for the show. Join us to welcome our new housemates!!! We are over the moon to welcome our new housemates here at 901 Central! Heart of the Matter Yoga and Kellie Jackson Daniel have created a peaceful space upstairs for custom private sessions at Central Peace Yoga & Ayurveda. Specializing in therapeutic alignment for injury recovery and prevention with a focus in building a strong, sustainable yoga practice. Come celebrate and take a gander from 6-9pm! Frock Shop & Powder Studio are excited to present the first installation of $1 Movie Nite! A beautiful evening with Fievel and friends! 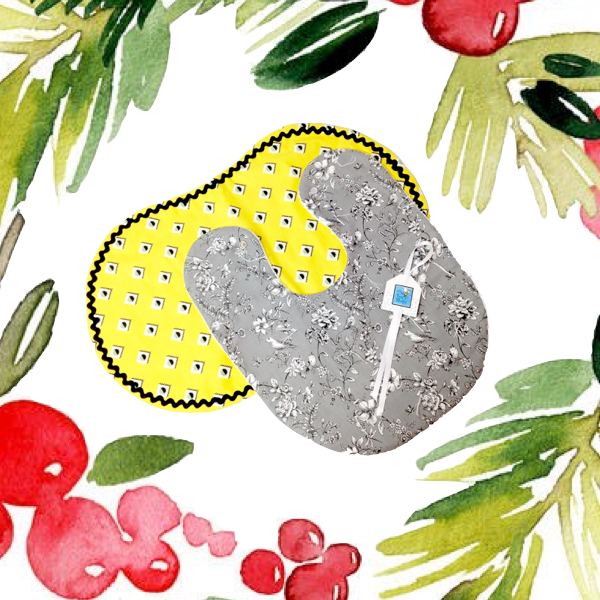 FROCK Shop ~ The Art of You: A gathering of empowered women. Join us Sunday April 9th to celebrate the Art of You! Showcasing an interactive "Art of You" exhibit by Cara Truitt with a focus on empowering women to embrace their inner beauty and joy. Featuring the artful burlesque of Veritas Veridian! Nibbles from Nourish and Roots Hummus! Meet Annie from AFV Exotic Arts! Meet Cara Truitt. Founder if the "Art of You". Join us! The Charlotte Literary Society & PaperHouse Theatre presents a staged reading of selected scenes from the stage version of The Heart Is a Lonely Hunter, written by Rebecca Gilman, based on the Carson McCullers novel. Three performances: Friday, March 24, and Saturday, March 25, 8:00 pm; and Sunday, March 26, at 5:00 pm. FROCK Shop, 901 Central Avenue, Charlotte, 28204. Charlotte, NC––Celebrated author Carson McCullers (The Heart Is a Lonely Hunter, The Member of the Wedding, and Reflections in a Golden Eye) would turn 100 on February 19, 2017. Though McCullers died in 1967 at age 50, her breakout novel The Heart Is a Lonely Hunter continues to make essential reading lists, a perennial favorite for its courageous and sensitive exploration of society’s most enduring social challenges––discrimination based on class, disability, gender, political ideology, race, religion, and sexual orientation––issues that, eighty years later, continue to haunt and divide our city, state, and nation. Join us this weekend to DREAM Spring! Delightful Cocktails, Tasty Bites, Festive Shenanigans and a beautiful new collection of Springs finest fashions all for you! We are thrilled to host PaperHouse Theatre beginning October 13th for their chilling production "She Who Watches" an original adaptation of Joseph Sheridan Le Fanu's, "Carmilla". This immersive Halloween experience runs Thursdays - Sundays, October 13th - October 30th. Purchase your tickets here. Laura lives with her mother in a remote mansion. After an accident they take an unexpected visitor, Carmilla, into their care. She is beautiful and charming and a source of great fascination for Laura. PaperHouse presents this tale in an immersive experience in the beautiful turn of the century house on Central Ave, that houses The Frock Shop. The performance happens throughout the house, inside, outside, upstairs, and down. You are in the room. There is limited seating. Join use August 17th for an evening of Creativity for a Cause with the Lily Sarah Grace Fund and local Artist Jackie Moffitt. Take home your very own original peice of framed art with a focus on color theory and enjoy a dynamic evening learning about the LSG Funds efforts in the Charlotte area! We are excited to announce that PaperHouse Theater will be returning for a Spring production of Shakespeare's Much Ado About Nothing. Shows will run Thursday, Friday & Saturday evenings starting May-26th - June 10th. Auditions: April 10th, beginning at 4pm. For audition appointments & additional details follow PaperHouse Theater on facebook. Join us April 8th from 5-8pm for a Happy Hour reception for JWV Artist's traveling Art Pop-Up. JWV will be bringing their Charlotte In Bloom collection featuring original art works from local & national artist. Refreshing Spring Cocktails and Sweets from The Gâteau Baking Company. Join us Sunday, April 3rd for SCRATCH, a sweet sequence presented by Cara Jorgensen of Gateau Baking Company and hosted by FROCK Shop. Enjoy eight artfully created courses paired with handcrafted sodas created with locally sourced ingredients by some of our city's finest creative pastry chefs. We are thrilled to host Drea Photo Artistry Friday, April 1st for Headshot Happy Hour. Reserve your space to update your professional or personal headshot at half Drea's full session rate. Receive One Look, 5 Digital Proofs & One Professional Edit for $100.